Here are some comments from previous happy couples. David and I received our wedding film on Blu Ray on Wednesday in its beautiful packaging and we would like to say how thrilled we both were watching it. You really captured our day and it is just perfect! The edit you created is just fantastic and heart warming, something we will treasure. We will definitely be recommended Simply Wedding Movies! We received our wedding video back yesterday and WOW! We cannot believe how well everything has come together - Steve's filming and Kim's editing is perfect. On the day Steve was so professional and made us feel relaxed immediately. He knew exactly where to be and was so discrete we didn't notice him filming! The video includes lots of bits we didn't realise were being filmed, and lots of laughter! I'm so pleased we decided to choose Simply Wedding Movies as our videographer - to have these memories captured forever is really precious and we can't thank them enough. We met with Steve a couple of months before our wedding day and he was very helpful and showed us examples of previous videos to show the different ways he can take shots and edit the film after. Steven and his team on our wedding day were brilliant! After receiving the film, we saw how he managed to capture magical moments and how much thought Kim had put into the editing of the film. We absolutely love it and could not be happier! Thank you so much. Love the Cunningham’s. Ferran and I would like to say a massive thank you to Steven and Kim at Simply Wedding Movies, we received our wedding video, montage and marryoke and could not be happier. Simply Weddings Movies provided us from the onset with a professional yet highly personalise service, Steve did a fantastic job throughout the day making us and our guests feel at ease (which I can imagen was difficult at times as a majority of our guests were Spanish), he provided me (the bride) with support throughout the morning (I had over done it the night before) and finally Kim put together the hours of raw footage, telling the story of our wedding day perfectly. The marryoke experience that Simply Wedding Movies offer, is one that I would highly recommend to anyone? all the guest thoroughly enjoyed it and it was/ continues to be - the highlight of the day. A big thank you to Mark for surviving listing to my family and friends singing along to Pink ? I suspect badly! Having such a wonderful video and marryoke to remember the day by has saved the memory of my wedding day and I can?t express enough how happy and thankful we both are to Simply Wedding Movies. AGGGGHHHHHHH I love the Wedding DVD – made me cry!!!!!! It was so lovely to watch it back – so many things that I hadn’t remembered – it was just lovely!!!!! I cannot wait to show people. I’m a headteacher and the children ask me every day if I have the DVD yet as they want to see me walking down the aisle!!! You have done a completely stunning video of Mike and Laura's wedding day. It made us all cry and it comes across so well and so brilliantly that it might as well be on TV. Thank you so much from the Couling family, you have truly given us a gift of the day. The films arrived today and we were so excited. The package barely even touched the floor before we were ripping it open in anticipation and what can I say, we were absolutely not disappointed at all. The film you both have made us for our magical day is absolutely gorgeous and so special it had us absolutely glued to the TV watching it. Wow just wow what else can I say! Thank you so much for such a wonderful memory of our day that will last forever. We are extremely delighted at how professional you were on the day, we didn't even know you were there! The way you have captured the day and put it together with our music is wonderful. We will certainly be recommending you to friends and family in the future. Your video you created for us truely captured the whole day amazingly and we couldn't be happier with it. So sorry its taken so long to write to you both! We just wanted to say a MASSIVE thank you for making our wedding dvd so perfect. From meeting you at Louise & James' wedding and seeing their DVD, we knew there was no question who we would be choosing! Its the most perfect keepsake and you captured every part of a special day - Our DVD tells a story from start to finish and its something we'll hopefully watch for years! We can't recommend you enough :-) Thanks so much. Having just finished blubbing my way through our entire wedding movie we cannot thank you enough for everything you have done to make our Wedding Movie so perfect. From the moment you arrived at the venue to the second you left having not met you prior to the day we were instantly made to feel at ease and that our wedding day was going to truly shine through with you at the video camera. Every single moment and so much more has been captured, Our movie is full of special touches that we have only today seen for ourselves which is very meaningful and we will treasure forever. Thank you so much once again and you will always have our full recommendation. Ashleigh and I wanted to thank you for being our videographers for our wedding on 24th May. A lot of our friends commented on how friendly you were and you really made us feel at ease - we quite quickly forgot that we were on camera. We received our video in the post last night and watched it straight away! It is absolutely brilliant the and we are both so pleased with it. The footage has really captured the details of the day and it has been edited together brilliantly. Thank you both for doing such an amazing job! Finally, can you let us know how much it would cost to get additional copies of the DVD please? I just want to thank you so much for the wonderful wedding video, we love it so much and have already watched it twice over the weekend! Plus your service has been excellent from beginning to end. I will defiantly be recommending you to anyone I know getting married. Can I also ask you if you are able to get still shots from the video, as there are a couple of photos that I didn't get and wondered if I might be able to get photos from the video? We were so pleased when we secured Simply Weddings for our videography after being recommended by a family member who also used them at their wedding. A huge thanks goes out for all their efforts and fantastic work they did for us on our special day capturing our happiest day on film. They managed to be everywhere at once and yet so invisible – the true mark of a professional, it was a pleasure to work with them. We were very grateful for the efficient service they provided in having the video ready for us on our return from our honeymoon. We are extremely delighted on how well the wedding video has come out. The video has had us in tears and Simply truly captured every special moment of the day. We will be forever grateful for all the wonderful memories Simply Wedding Movies have captured which we can now cherish forever. 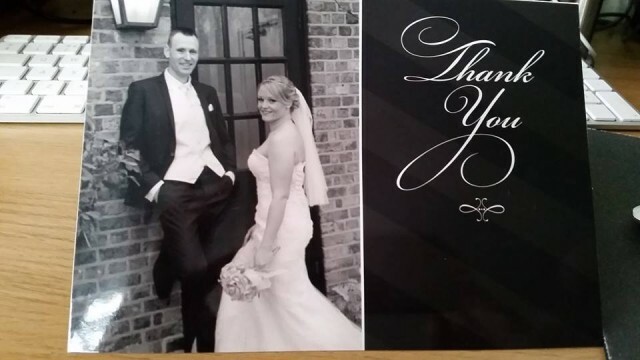 Simply Weddings are true professionals in what they specialise in and I would highly recommend them. Thank you so so much for the wonderful wedding video. We watched it last night and it surpassed anything I had expected. It was brilliant - it had my in tears ha ha!!! I can't wait to show it to friends and family and i'll absolutely recommend you to others. Thank you so much for our wonderful wedding video. 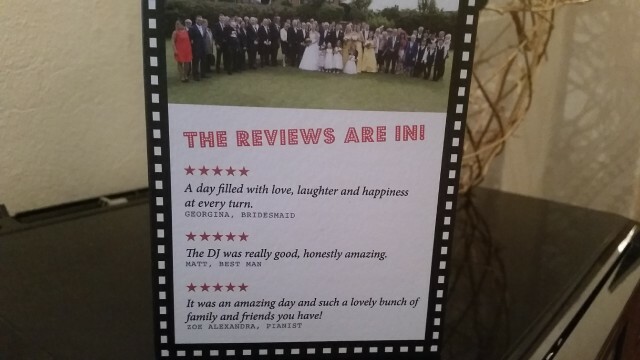 Our experience with you has been fantastic, from the very first phonecall up until the day you personally delivered our wedding DVDS to us in their lovely presentation boxes and sat down to watch some of it with us! On the day you blended into the background so much that we forgot you were there, which made us even more excited to get the video back and watch as we had no idea what would be on there! Blake did say that you gave him lots of useful tips throughout the day, such as which buttons should be done up on his jacket! Watching the video is lovely, the editing has been done perfectly, it brought a tear to my eye and makes me want to do it all over again! We are looking forward to showing our family the video and im sure they will all agree it is amazing and something we will cherish forever. So thank you so much, we will definatley recommend you to our friends and family should they ever need a videographer. We cannot recommend more strongly having Simply Wedding Movies as your wedding videographer. They are so unobtrusive, I really forgot they were there! They are polite and a pleasure to have at our wedding. Watching the finished artile was brillliant and so many of our friends want to see it! We really were in two minds regarding having the wedding filmed, but in retrospect I am so glad we did. What we have as a keepsake is fantastic. Thank you for preserving our day, beautifully. You are an amazing couple and you make amazing wedding videos! We cannot say enough how much we appreciated your participation in our wedding day. You were so positive and accommodating and seemed to be having as much fun as we were! We love it when people enjoy their work! You were very unobtrusive and captured so many wonderful moments, but what really says it all is your amazing 'trailer' version of our video. Friends who saw it couldn't believe that we had no input whatsoever as you managed to capture 'us' perfectly, from the use of the music, to the voice-over reading - the editing was excellent! The level of service you offer is amazing from before-the-start to after-the-finish. We will be recommending you to anyone who wants anything recorded and edited by great people, to a very high standard. Everyone we know who has seen the video, even the trailer version, has been truly moved, and it makes us laugh and cry every time. We are so happy that you could be part of our day. Thank you so much for filming our wedding. You made it a pleasure having you film us and bought a smile to my face and made me laugh when things started getting hectic. Our video is beautiful and we will definitely be using you for any future events and recommending you. Even after the wedding you continued to show us 110% with getting the video ready promptly and even popping round to help us hook up our blue ray player! Thank you so much, Sarah and Joe O'Sullivan. Amazing Day, Amazing Video and Wonderful Memories. Simply Wedding Movies have managed to capture every emotion and moment of the most special day of our lives like no one else could. The DVD we have received from them has blown us away!! They have succeeded in helping us to relive the day which goes so quickly. They have edited the movie in a way that you can literally feel the warmth and love in the room. No point has been missed and we can't thank them enough for presenting us with such an amazing keep sake. To have the DVD to be able replay forever has managed to top off the wedding of our dreams!! !